At the courthouse. nobody there and no reason to get in. So, was Monday a holiday or not? The flags were out on the streets in downtown Albany for Presidents’ Day. 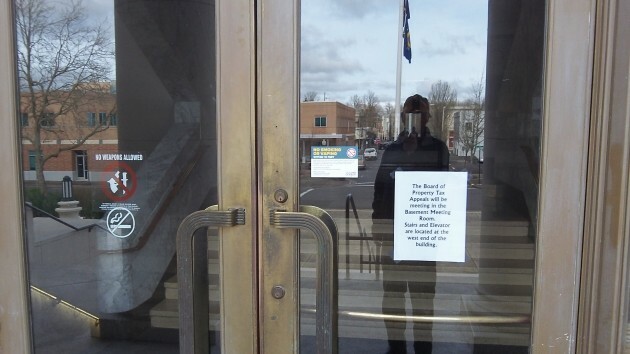 But there was no agreement whether this was an occasion to close or stay open for business. Open for business at City Hall. Looks like a slow day, though. 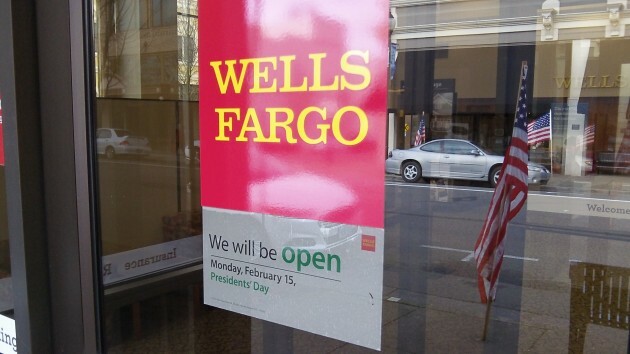 You could go do business with Wells Fargo Bank, because they made a point of being open and help their customers this Monday. A few blocks away, banks were closed. 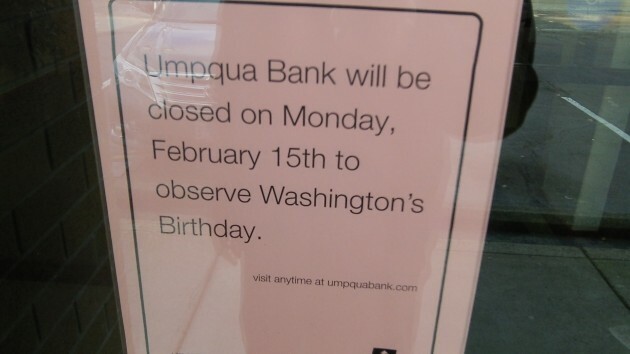 Good ol’ Umpqua, refusing to knuckle under to our deplorable habit of ignoring history, even announced on its doors that it was closed for Washington’s Birthday. Open for business with flags flying outside. 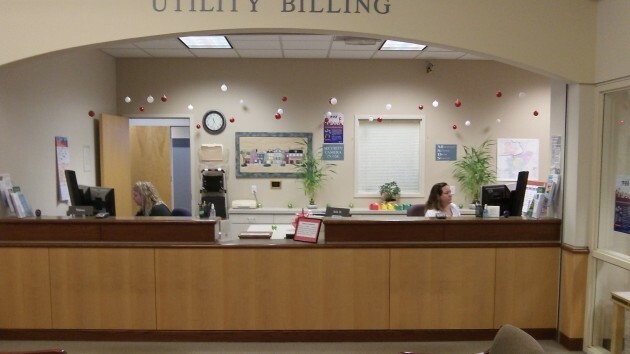 Schools in Albany were open as a make-up day for the ice closure on January 4, 2016.